Yesterday's surprise Overwatch patch brought with it some balance changes — most importantly (to me), Mei's buff, a thing of both immeasurable good and evil. Blizzard expanded Mei's ultimate move, also called "Blizzard", from 8m to 10m. Enemies within its circumference are quickly frozen, sitting ducks for a hero like Pharah to blast them with her ultimate move. Great! 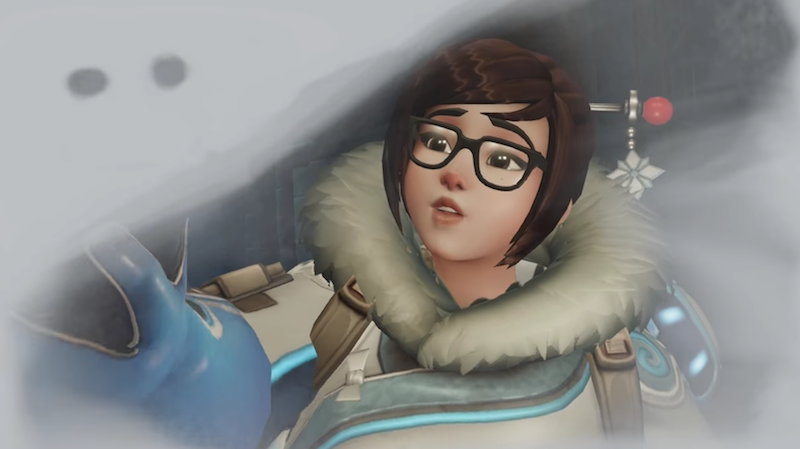 But, if you're like me, and like Mei, perhaps you're a little too derpy for this great, icy responsibility. Yesterday, when we reported on the patch's early release, I immediately logged onto Battle.net to test out Mei's buff. Defending the Temple of Anubis, I thought I'd found the perfect moment to strike with her 10m Blizzard. All the enemies were clustered together. My team was rushing in. I felt great. Five enemies frozen Hell yeah! Eat my icicles! I am the most useful defence hero ever! Don't be like me. Don't be like Mei. Think of the team. It's not the clock's fault you stopped and froze yourself outside the cap point. please tell me people still cant cheese her ultimate by jumping up and down inside it?! I guess the frozen enemies can still be killed, but Mei is invulnerable when she ice-blocks. I have no idea what I'm looking at here. She threw her ult to freeze them all on the point as they were capping it but she wasn't on the point to contest it, so even though most of the enemy team died a few seconds later, they still managed to cap the point. I recognise some of these words. I don't see why he couldn't have cancelled his ability and then walked onto the point. I think it needs to give you a few more seconds before the full freeze, vos you don't get hardly enough time to notice her drop it before you're stuffed. I don't really see what the problem here is. You froze the enemy team, hoping your teammates can help kill them. They don't. They got the objective because Mei wasn't contesting. He froze them onto the point allowing them to win the first objective. ...and? What was his other option? Not freeze them, get shot and die? If he'd stood ont he point, it would have been contested and they wouldn't have captured it. The issue is less of his ultimate and more that he used his ultimate and then froze himself outside of the point. Had he been inside, it would have been fine. and why didn't he just cancel it and then jump onto the point? Because he didn't notice. It was only after they capped it that he realised he'd handed them the point. Maybe I'm missing something, but they where already on the point and would have capped anyway even if they hadn't been frozen? At least freezing them gives a non-moving and non-shooting back target for others on your team to kill. Healing yourself at that point though.... On 170 health... With the enemy team freezing... And clock counting down... That was silly. Maybe I'm missing something, but they where already on the point and would have capped anyway even if they hadn't been frozen? Yeah, but if *he* was on the point, the timer would stop as it's "contested." Instead oe froze them on the point and iceblocked himself while he was off the point, so they got the cap.